A bawdy, acerbic tale of royal intrigue, passion, envy and betrayal in the court of Queen Anne in early 18th century England. 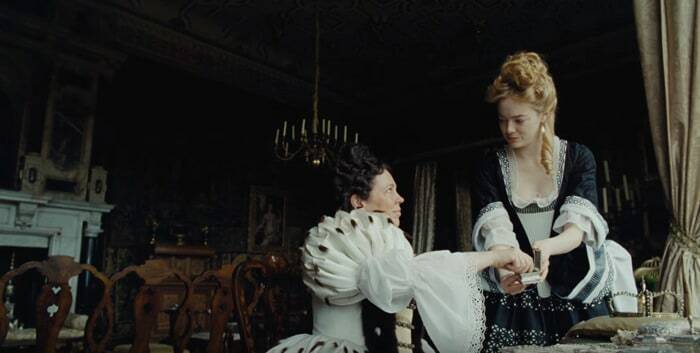 At the center of the story is the Queen herself whose relationship with her adviser and clandestine lover, Sarah Churchill, is turned upside down by the arrival of the Duchess’s younger cousin Abigail. Soon the balance of power shifts between the women as they jockey for influence with the Queen and the court. Co-Sponsored by Mark Hobson Gallery – Draw Prizes!